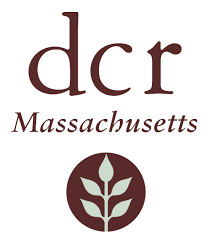 DCR negotiates 20 year contract between Worcester and towns of West Boylston, Holden and Rutland to hadle waste water. Click here for copy of agreement. In a press release in May of 2013 as reported by the Worcester Telegram . In a press release, Holden Town Manager Jacquelyn Kelly said the city of Worcester charges Holden for sewer transport based on the city’s total cost to operate its sewer system, including its stormwater management system, from which Holden receives no benefit. “Worcester has been charging Holden ratepayers hundreds of thousands of dollars in fees annually for portions of the Worcester sewer system, including Worcester’s MS4 storm water system that Holden does not use or receive any benefit from,” Ms. Kelly said. Holden pays Worcester to transport sewage through Worcester’s sewer lines to the Upper Blackstone Water Pollution Treatment Plant in Millbury. Holden’s sewer transport fees have been an issue in town for more than a decade, and negotiations between the town, the city and DCR date back to the 1990s. The contract for sewer transport fees also includes the towns of Rutland and West Boylston. Both towns also transport sewerage through Worcester. Anna Maria College also connects to the sewer trunk line that feeds into Worcester. Ms. Kelly said the town did not undertake the litigation lightly. “This lawsuit was commenced only after efforts to resolve this dispute through negotiations were rebuffed by the DCR. The town recognizes its obligation to pay the actual costs of transporting sewage, and has paid such costs and more, diligently and faithfully.” The town has requested that a judge issue a preliminary injunction to set aside $952,000 in an escrow account until the matter is resolved, and has demanded $5 million in damages be paid by the city and the state to the town of Holden. 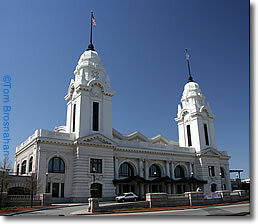 A hearing is scheduled for 2 p.m. June 4 in Worcester Superior Court. Last week the Council went into Executive Session to discuss this, click here. Meanwhile in Holden according to their FY2018 budget, the DPW line for legal, the Town of Holden has spent over $1,000,000 and has $450,00 budgeted for the upcoming year. Maybe the Holden DPW legal fees may be spend on other issues, but we would think a large proportion of this would be for this legal dispute. This a very large case that could have huge financial implications to the City of Worcester and the Town of Holden. Holden has to win and win and get an award of at least $1,500,000 (incurred legal and projected costs next year) just to cover their legal bill. If Worcester was to lose $5,000,000, we do not have to tell you how hard that would be. Good to at least see the Worcester City Council discussing items like these rather then historic districts, that are already on the Historical Commission agendas, or how many hospital beds UMass should have in their psych-unit .